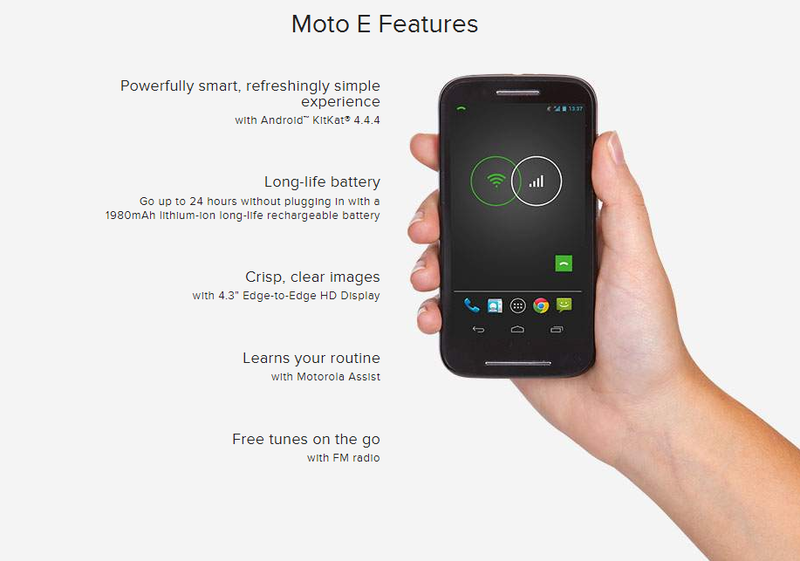 A quick spec refresh: the Moto E uses a 4.3-inch, 960x540 screen, a dual-core Snapdragon 200 processor running at 1.2GHz, 1GB of RAM and 4GB of storage, plus whatever you can fit in the MicroSD card slot. The rear camera is a healthy 5MP, with no front-facing camera available to cut down on price. The battery is small at 1950mAh and non-removable. The Moto E runs Android 4.4 at the moment - an upgrade to Android L is likely, but not guaranteed given the specifications. The E is popular among cash-strapped Android enthusiasts. But remember that Republic customizes phone hardware and software out of necessity: its dual WiFi-3G system is proprietary and piggybacks on Sprint's CDMA network as an MVNO, so there wouldn't be any point in unlocking it. 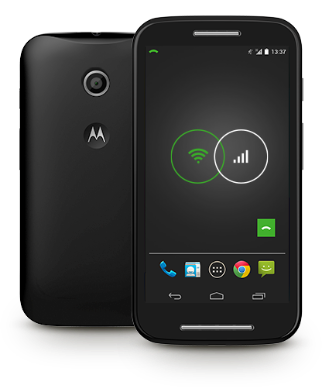 That being said, the Moto E seems like a great way to try Republic's super-cheap VOIP system if you want to give it a go with minimal investment.